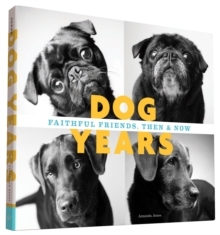 Dog Years is a heartwarming look at the lives and stories of 30 dogs. By presenting portraits of each dog as a puppy and again as an older dog, photographer Amanda Jones reveals the unique spark of personality that lasts a lifetime. 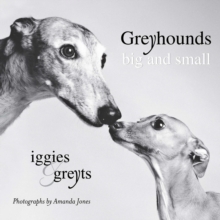 These beautiful images of breeds ranging from golden retrievers and Great Danes to pugs and French bulldogs are accompanied by reflections from loved ones on the lives they share with their furry companions. The result is a celebration of each dog and a tribute to the relationships we share with our four-legged friends.